Hi all! Today I have the Stella Chroma HHC customs for the month of March. 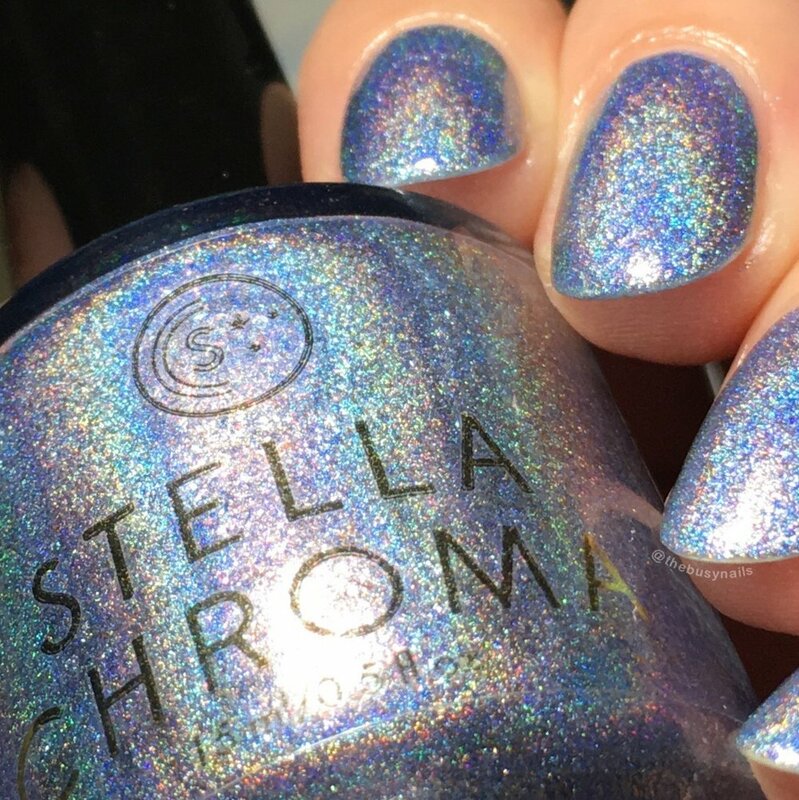 HHC was previously "Hella Holo Customs" and recently changed its name to "Hella Handmade Creations" to allow for more variety and flexibility. 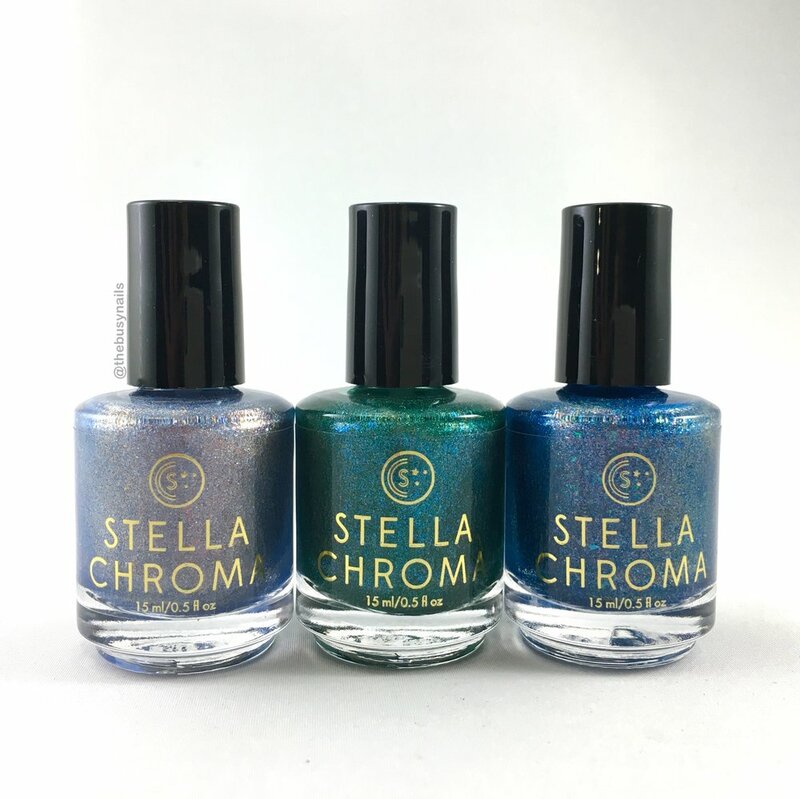 You can read more about the name change in the Facebook group, which you'll need to be a member of in order to buy these polishes. Maker description: Vibrant blue polish with linear holo, pink flakes and green/pink shifting micro flakies. My thoughts: Great formula! This is a beautiful, saturated pool blue that goes right where you want it. It's jelly-like, but covers completely in two coats. 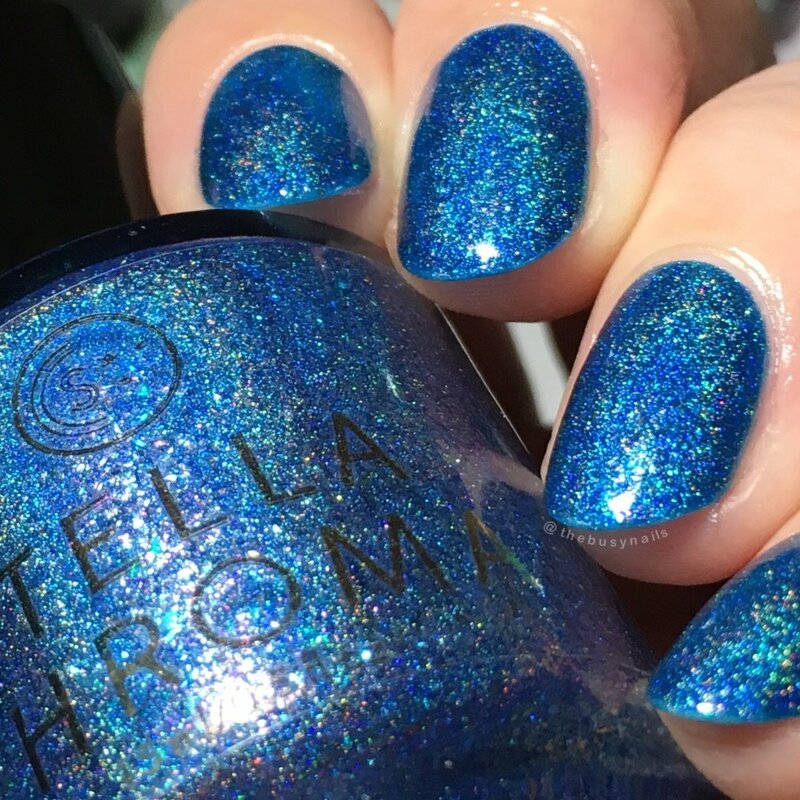 A fun, lively shade that blue-lovers are going to need. The flakes don't show up a lot on the nail in person, but they do add some extra sparkle. Maker description: Ultra holo periwinkle blue with pink shimmer and a dose of pink flakes. My thoughts: This is my personal favorite of the bunch for two reasons: it's VERY holographic, and I love the washed out periwinkle color. It's super shiny and again had a good formula. No issues. 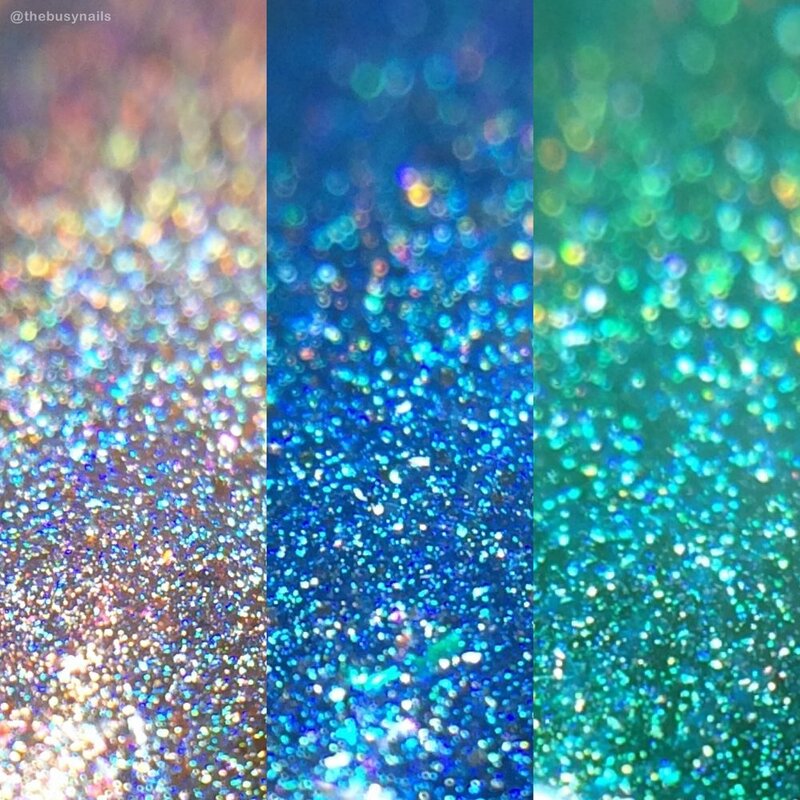 Because the holo is so strong, you don't see the flakes in all lighting, but when you do they're very pretty. Maker description: Grass green linear holo with bright blue flakies. My thoughts: I love this shade of green! It's a fun, unexpected shade for spring or summer and the flakes give it an extra pop. 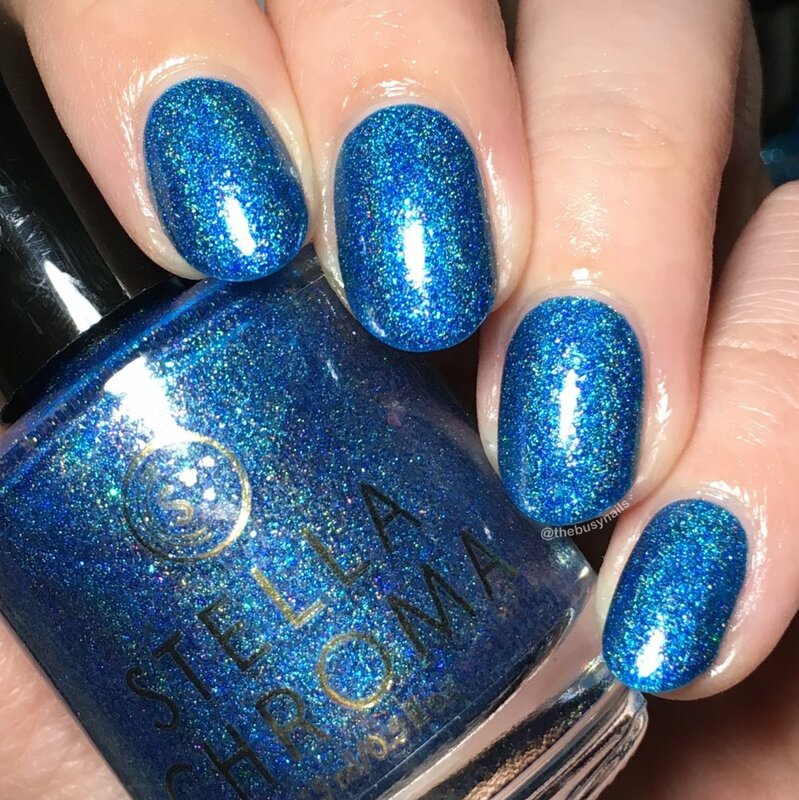 Similar to Nightwander, I found it to be jelly-like, but again it covered in just two coats. Good formula, no issues. Fun colors, great formulas, and I love that these shades make a cohesive little collection. Which is your favorite? Don't forgot to join the HHC Facebook group for purchasing details and a link to the shop where you can buy these shades now through the end of March.